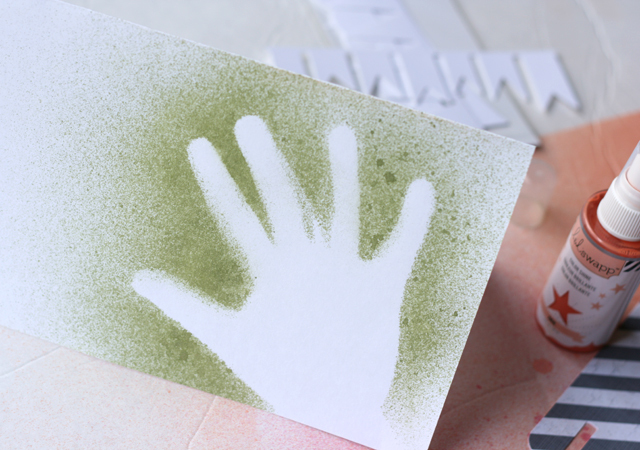 Create this simple handprint art for a custom Father’s Day card that every dad will love! 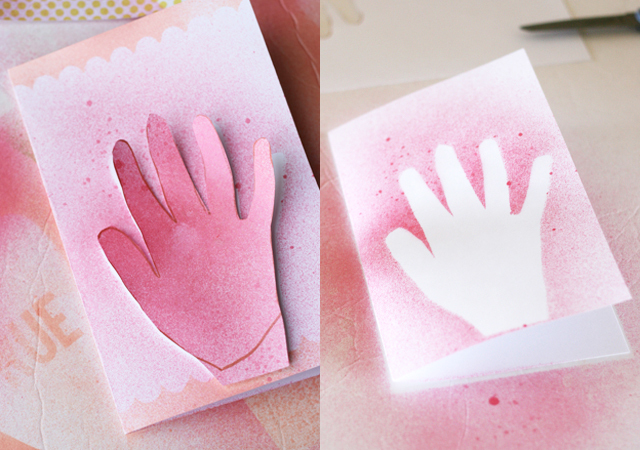 Making these handprint Father’s Day cards is easy and a great way for kids of all ages to get involved in making their own gift for dad! If you’ve done any crafting or scrapbooking over the past several years, chances are you know of this awesome lady – Heidi Swapp. 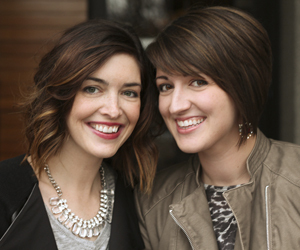 She has designed and created some fabulous things and today I get to share some of them! Heidi is launching a whole new line of products that will be available exclusively at most JoAnn stores and online. 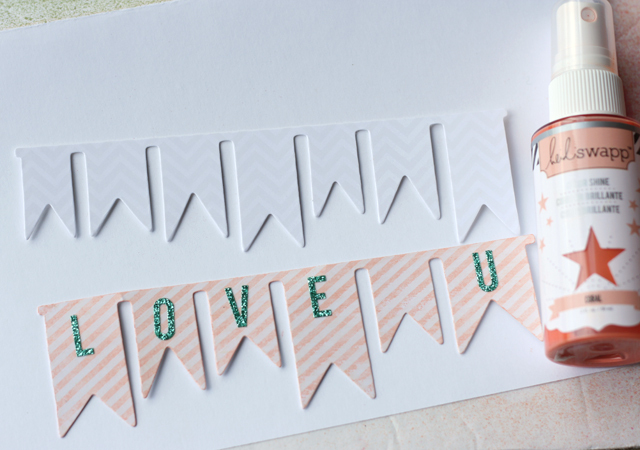 We’re talking everything you need to make one-of-a-kind gifts, paper crafts, and home decor! I love that there are so many different options in this line. 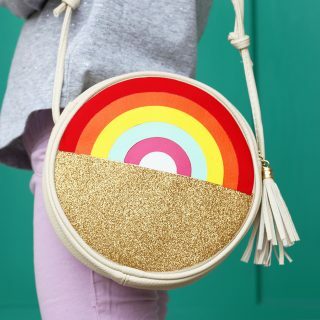 At varying prices, you can try just a few pieces and incorporate with your existing stash, or grab what you need to put together an album and it will all coordinate! Many of the products in this new line are made to use with Heidi Swapp’s Color Shine. I’ve been dying to play with this for awhile now – and it did not disappoint! It’s a non-toxic, water-based spray that leaves a gorgeous and iridescent splash of color in it’s path. 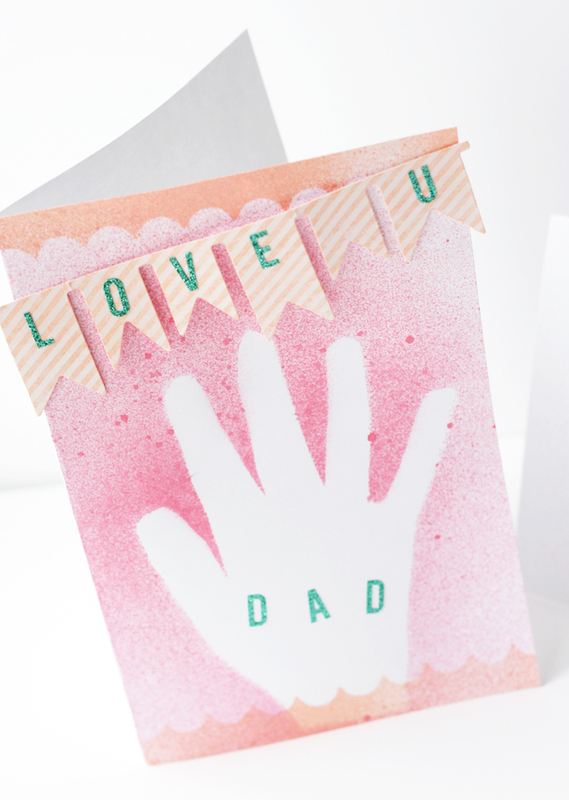 We made some quick personalized cards for Father’s Day and my kids thought the Color Shine was SO fun (and I agreed!) First we tried tracing my daughter’s hand and cutting it out to use as a stencil. 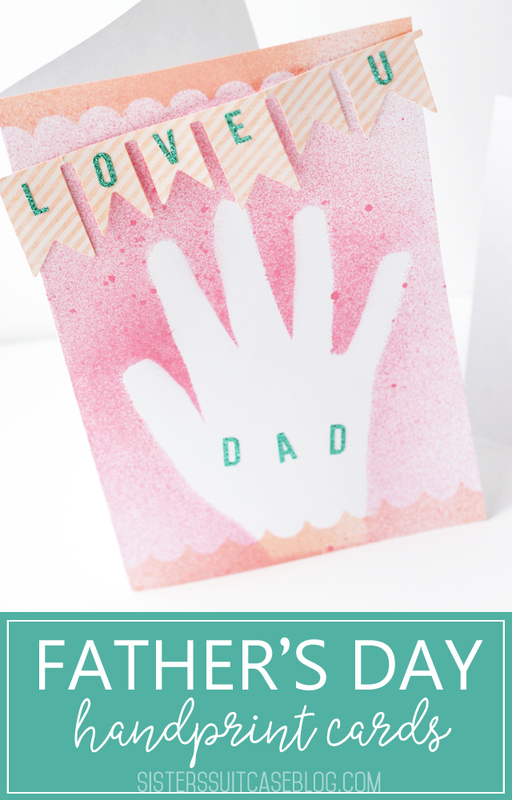 Adding a few embellishments and these fun glitter letter stickers (also from the Heidi Swapp line) made an easy but meaningful card for Dad! I can’t wait for the kids to give Dad their cards! When it was little brother’s turn, we just stuck his hand right on the paper and sprayed over the top of it. He thought that was fun and it washed right off his hand. This chipboard photo frame also has the resist – and you can see how it creates such a cool effect! First I sprayed both coral and hot pink color shine on different areas of the frame. 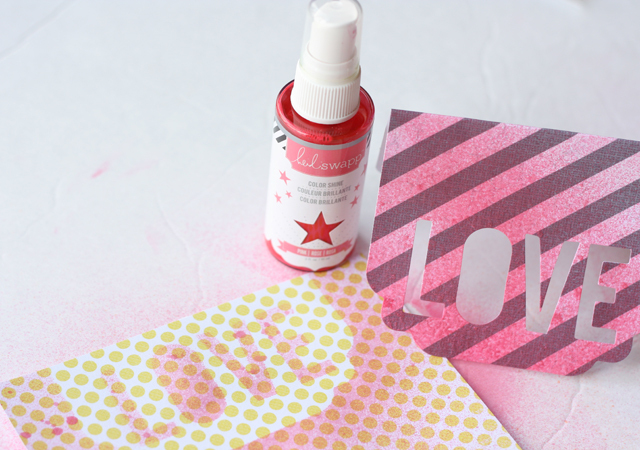 Then I carefully wiped away the spray on the “resist” part of the chevron pattern, using a paper towel. You could also use a very slightly damp Q-tip. And here’s the frame after! Wouldn’t this make such a fun gift? 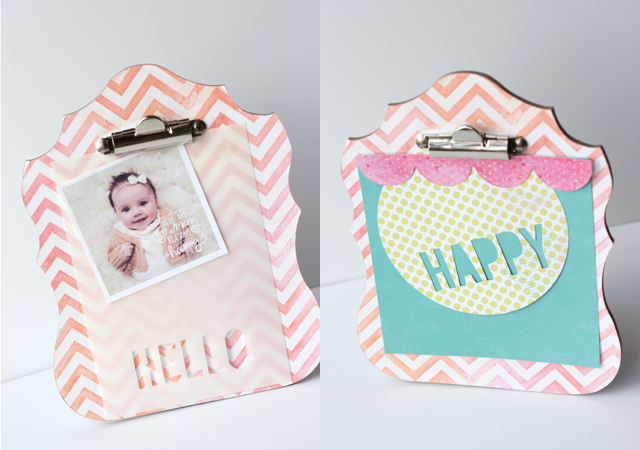 You can clip photos, patterned paper or other embellishments to the frame. I love it! I’m keeping mine on my desk, but grab some Dad-friendly colors of the Color Shine and this would make a great gift for Dad or Grandpa! 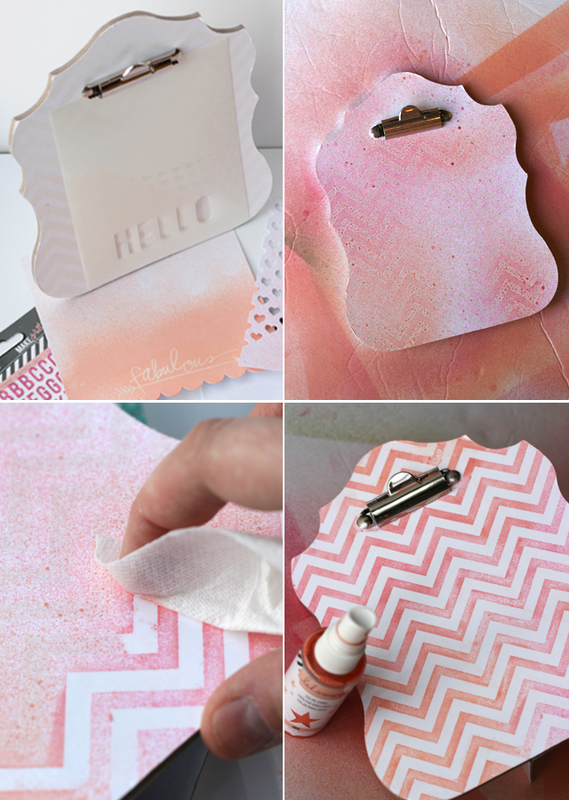 If you love this idea for creating a custom Father’s Day card, we’d love you to pin it for later! 2 Sisters. 2 States. Sharing our latest creations keeps us close. We are moms, wives, daughters, friends, creative souls, singers, living room dancers, Jimmy Fallon fans, & consumers of dirty Dr. Pepper. Super cute!! I love the Color Shine line. I’ve been eyeing it for a while now. Love the cards!! 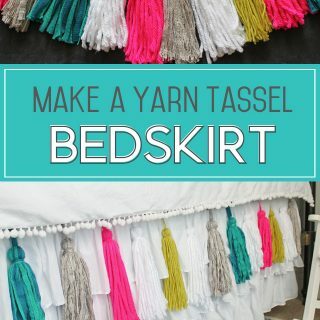 Sharing this cute idea on fb today!